From a watery lilac to deep velvety purple, our collection of Amethyst earrings includes the entire gamut of purple shades. 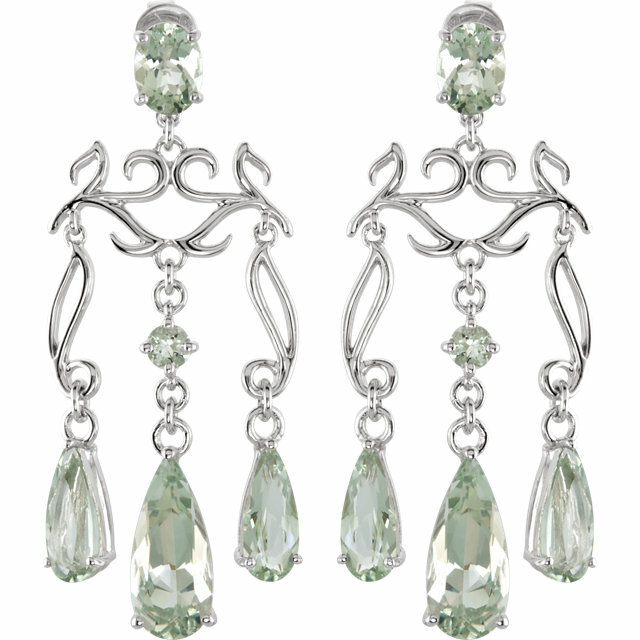 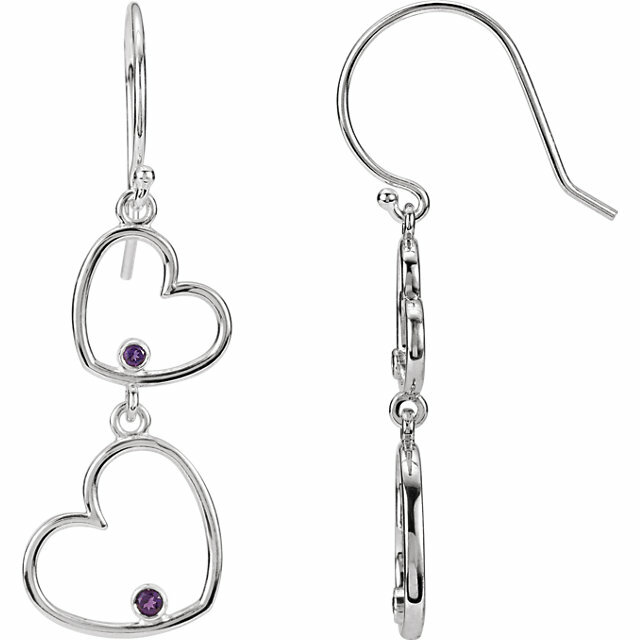 We also offer a huge range of earrings styles: post earrings that dangle, studs, long hook earrings, hoops and lever-back earrings. 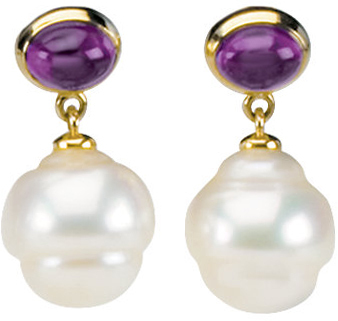 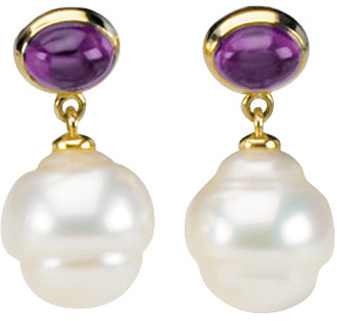 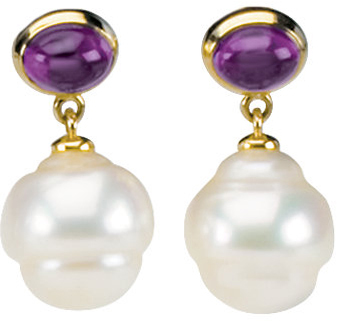 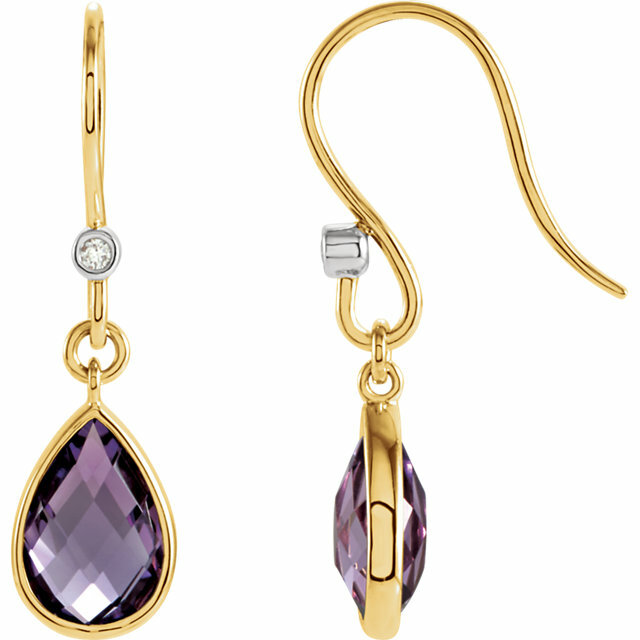 Add to those variables the choices of gold, silver, and two-toned settings plus diamond accents and you get the most comprehensive and stunning selection of Amethyst earrings you can find. 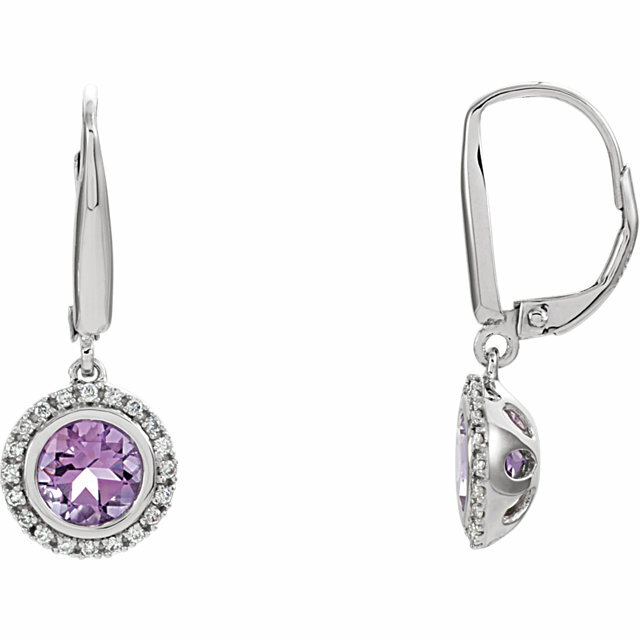 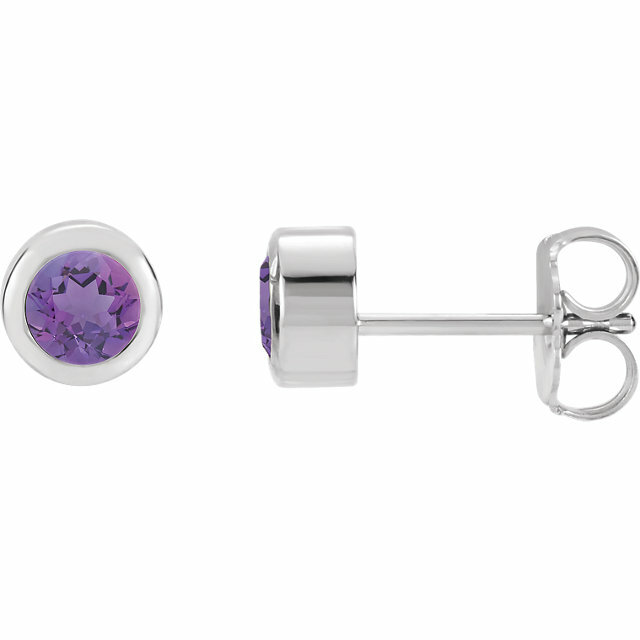 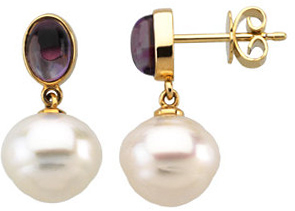 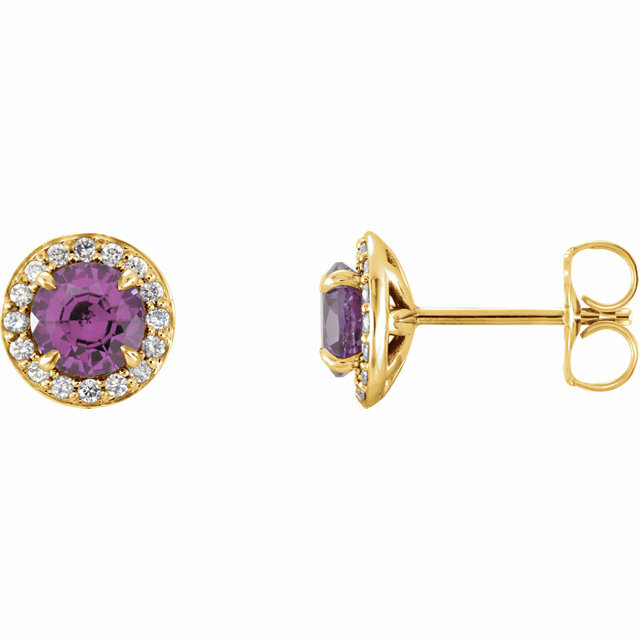 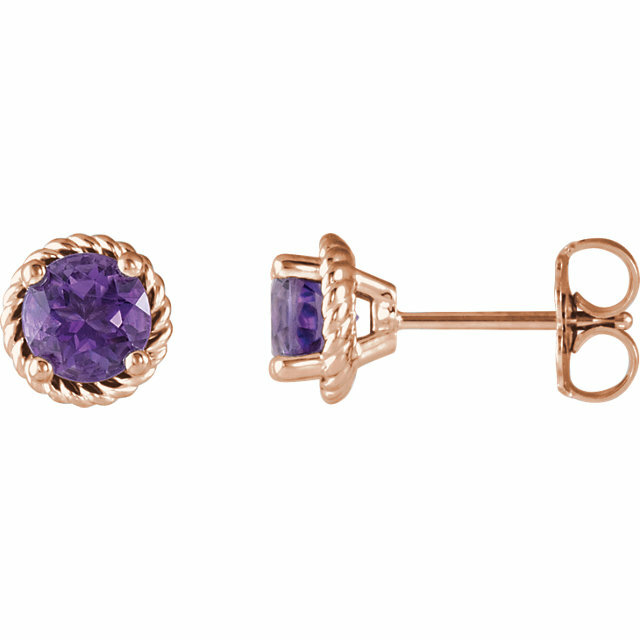 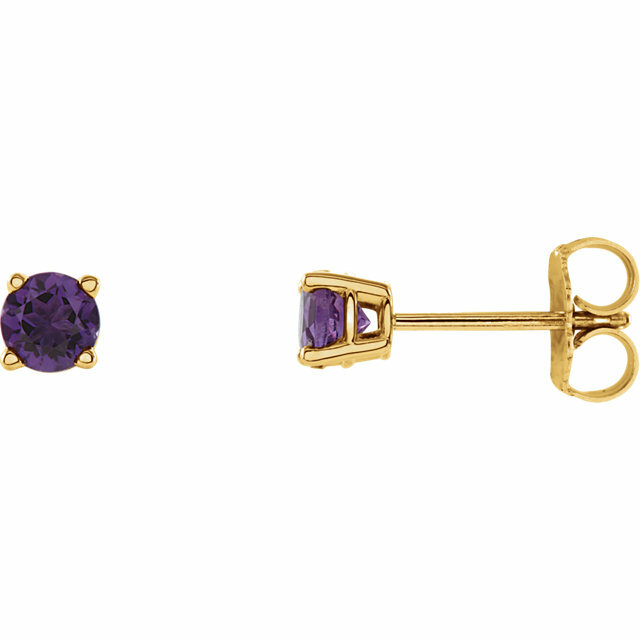 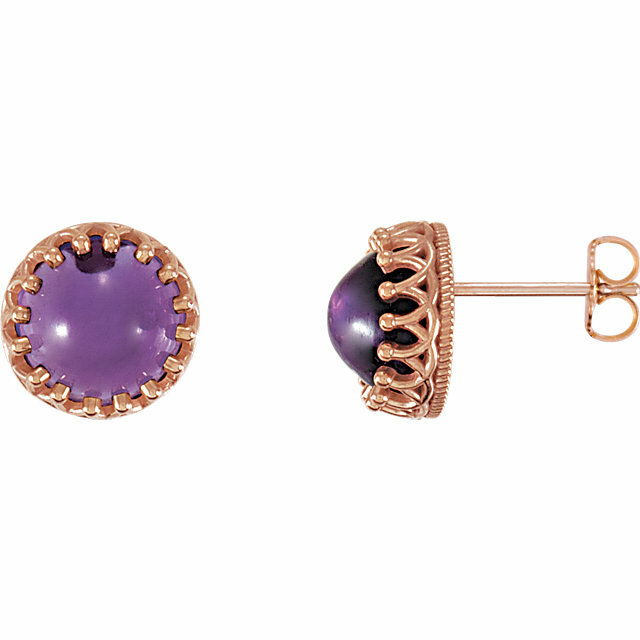 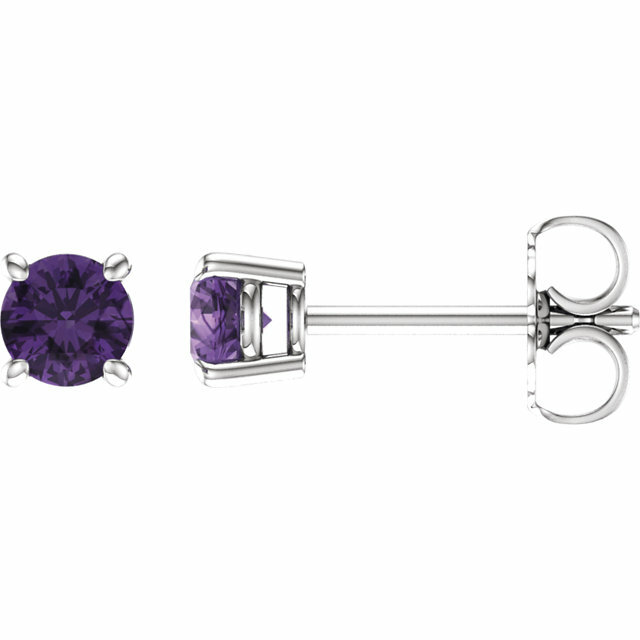 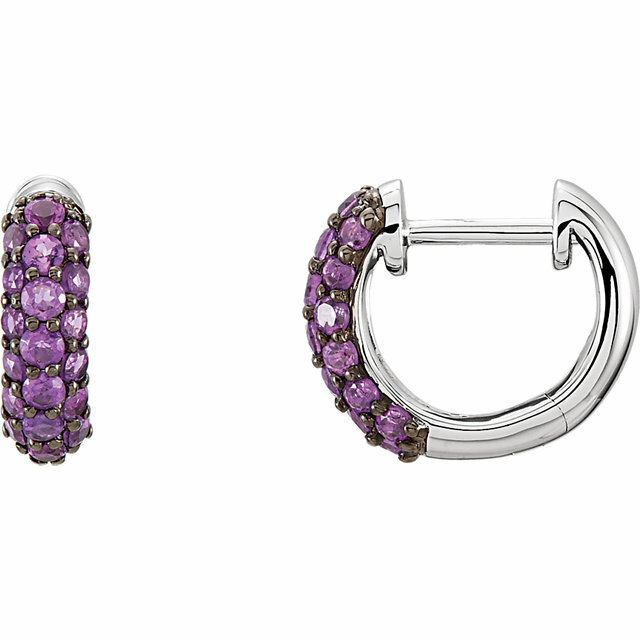 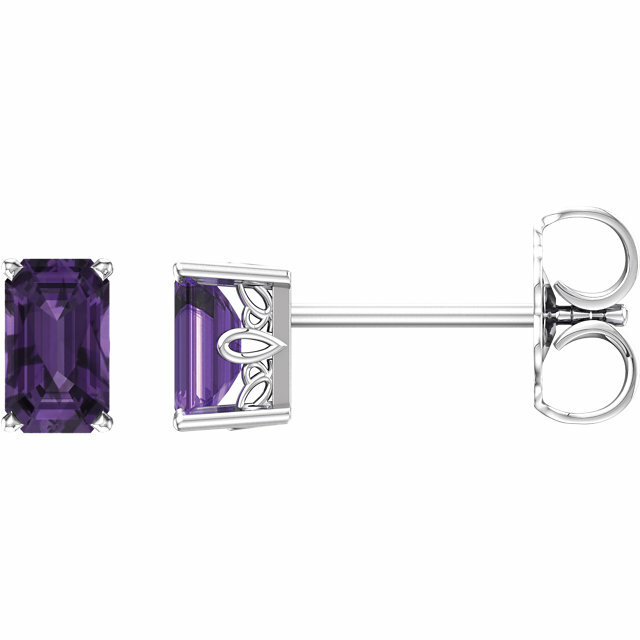 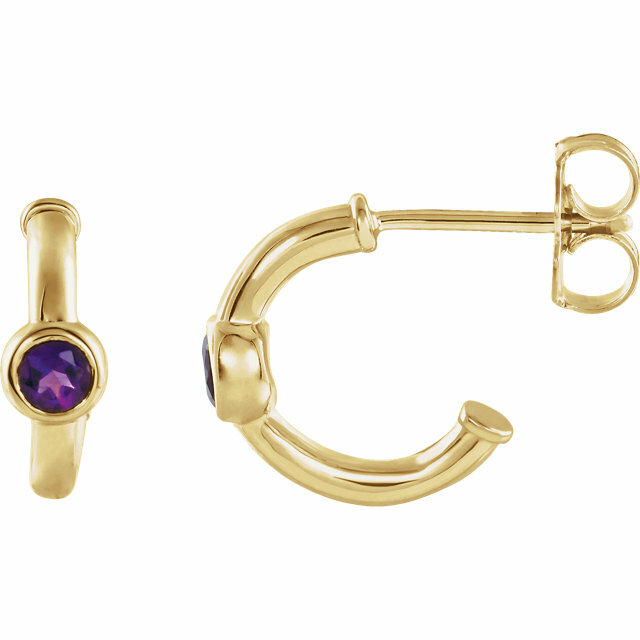 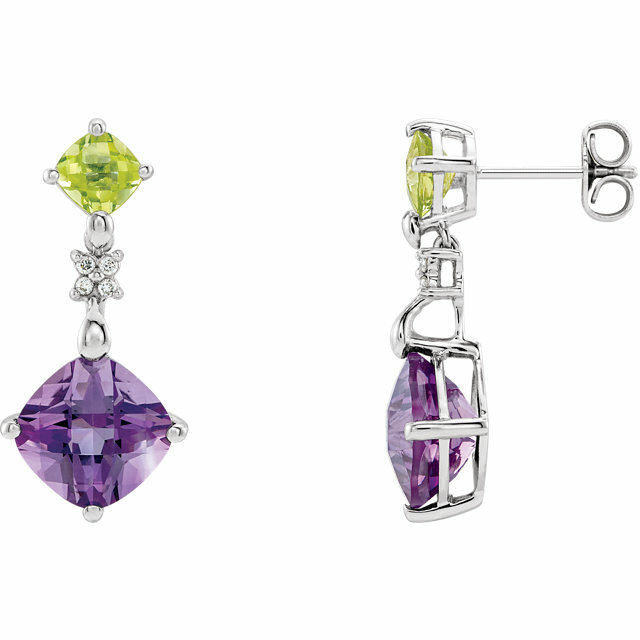 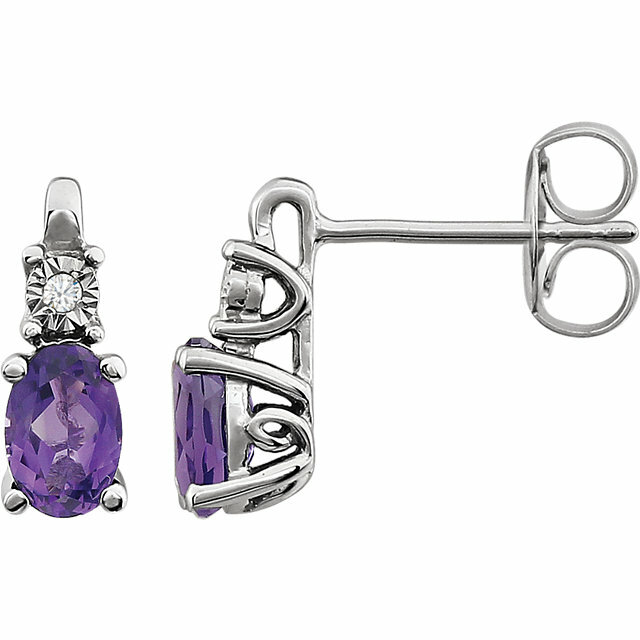 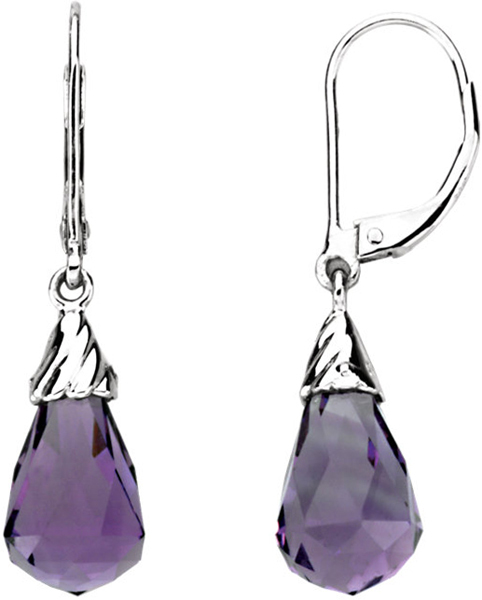 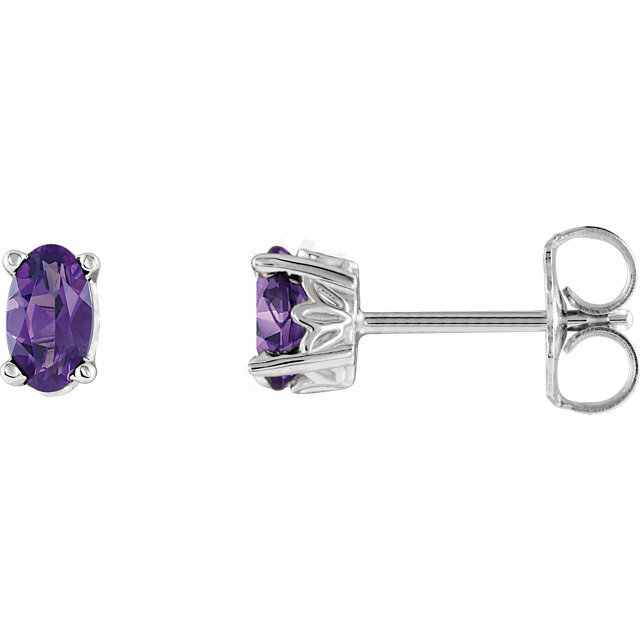 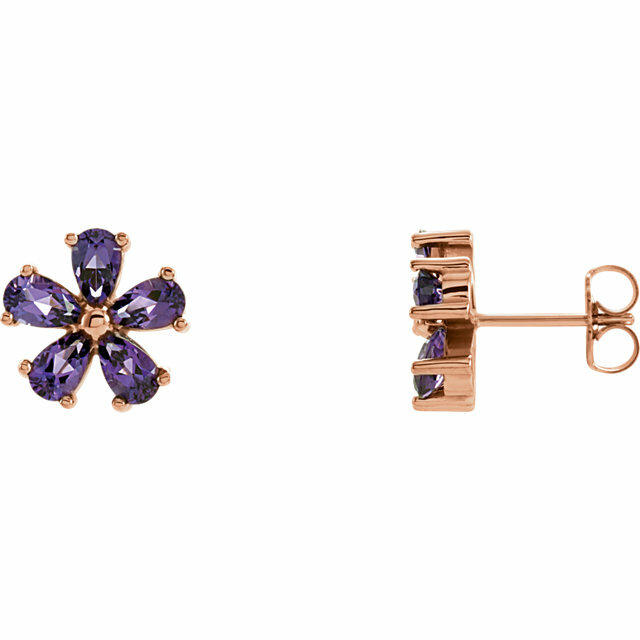 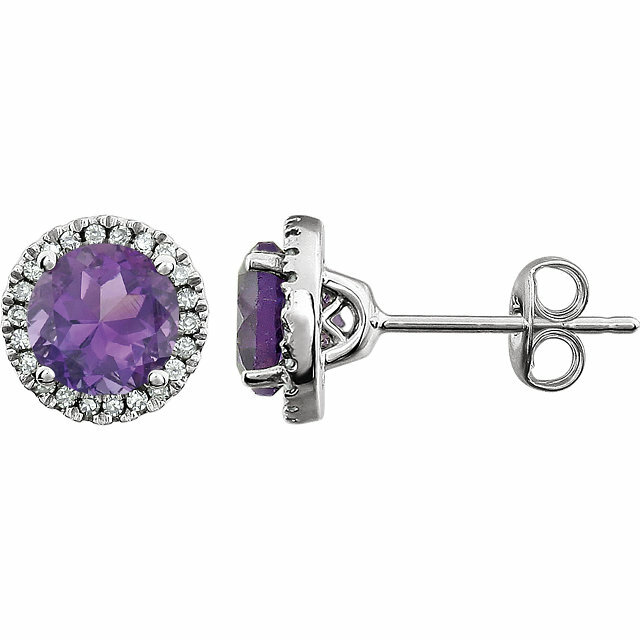 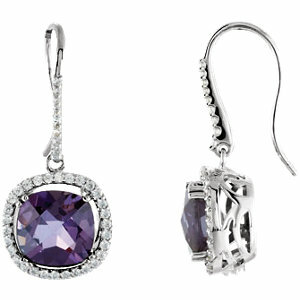 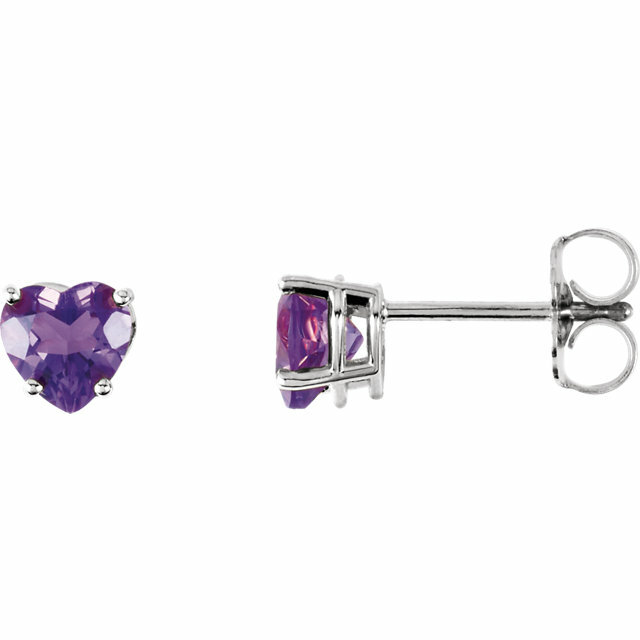 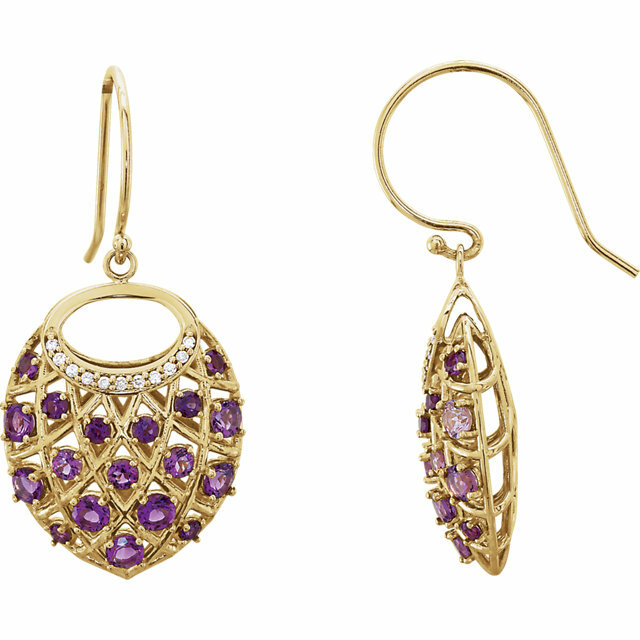 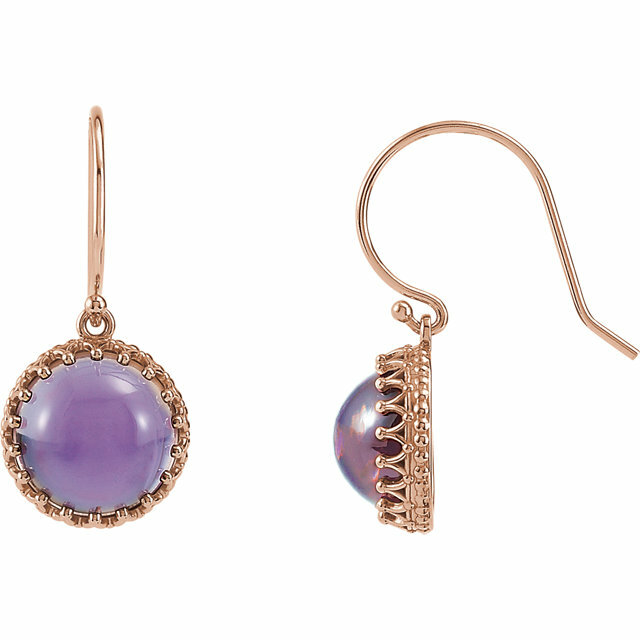 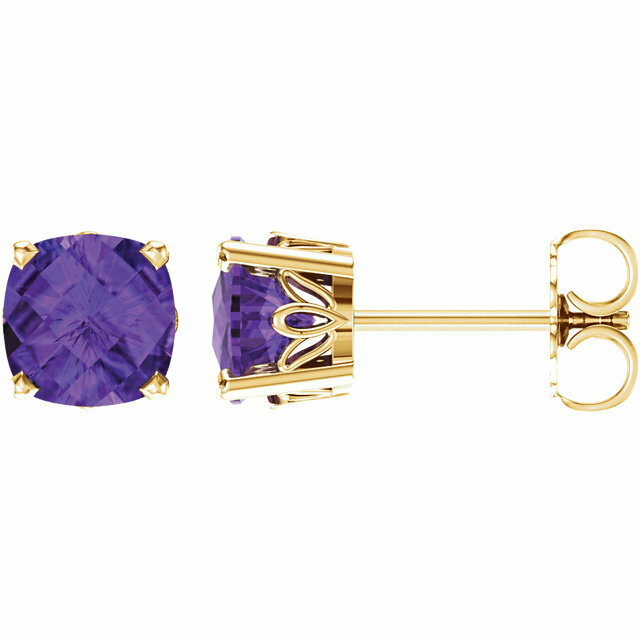 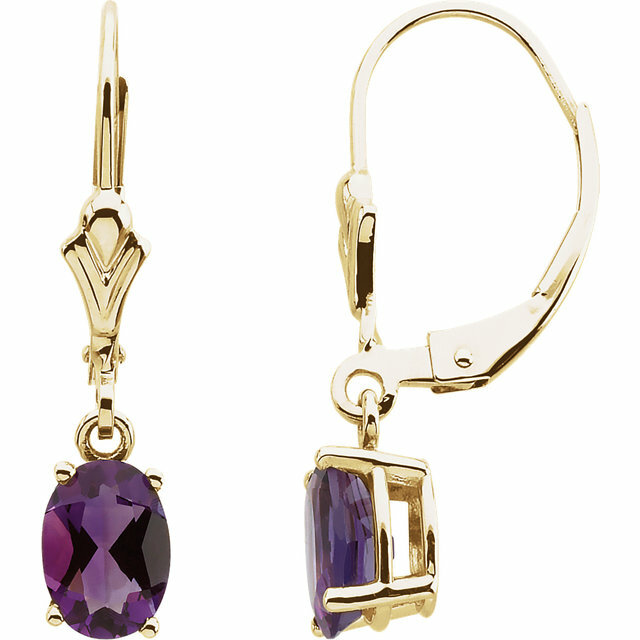 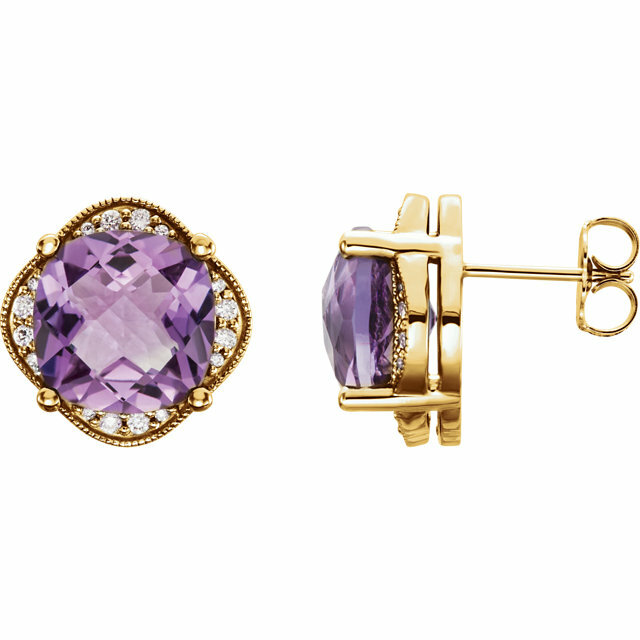 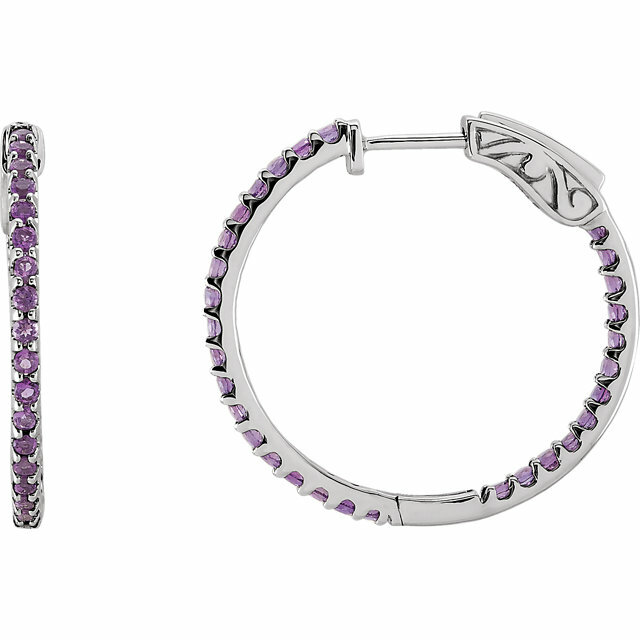 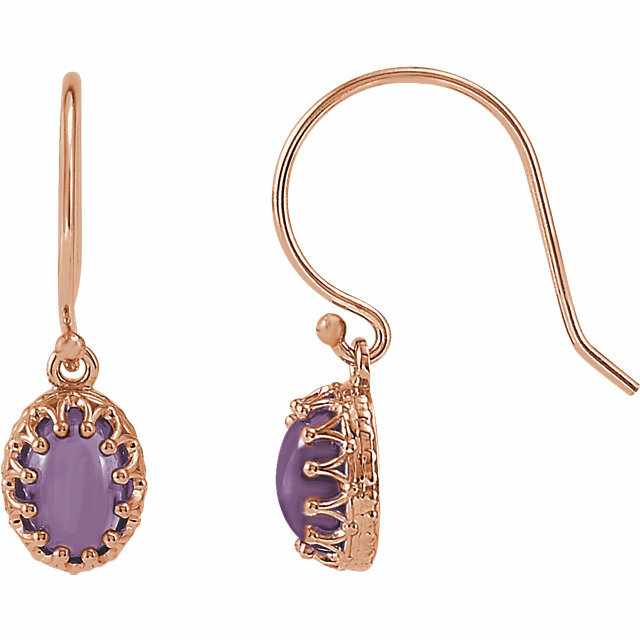 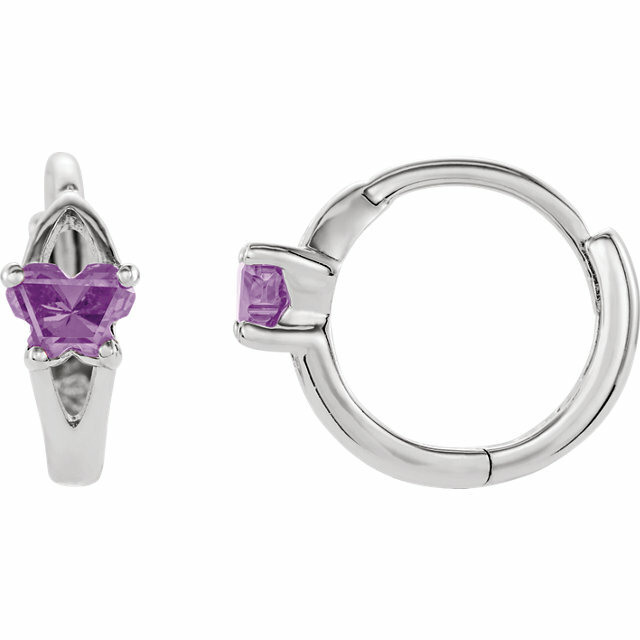 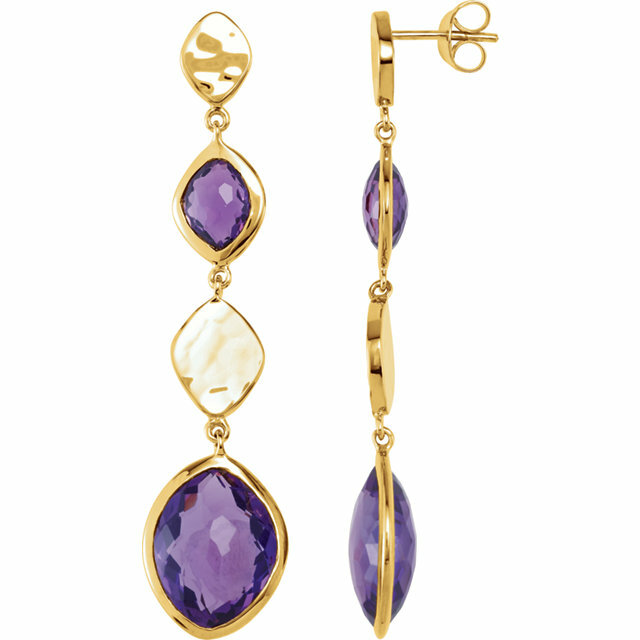 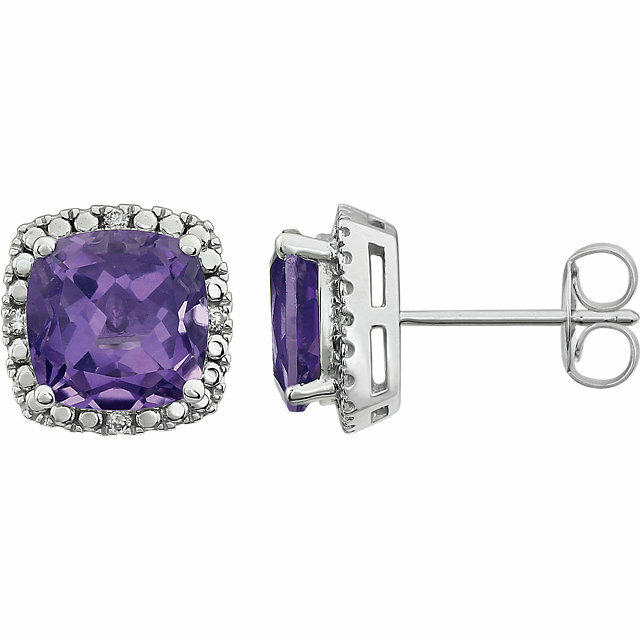 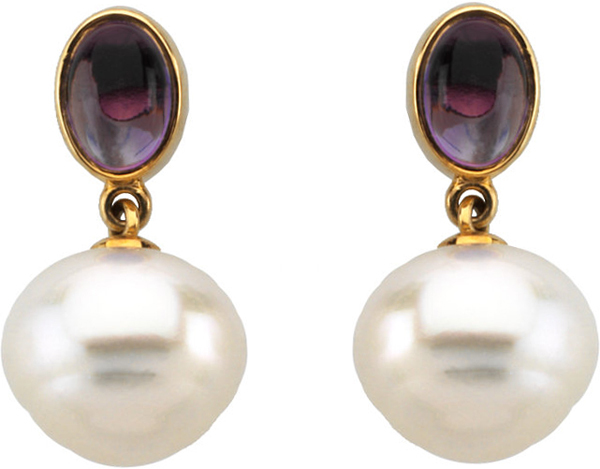 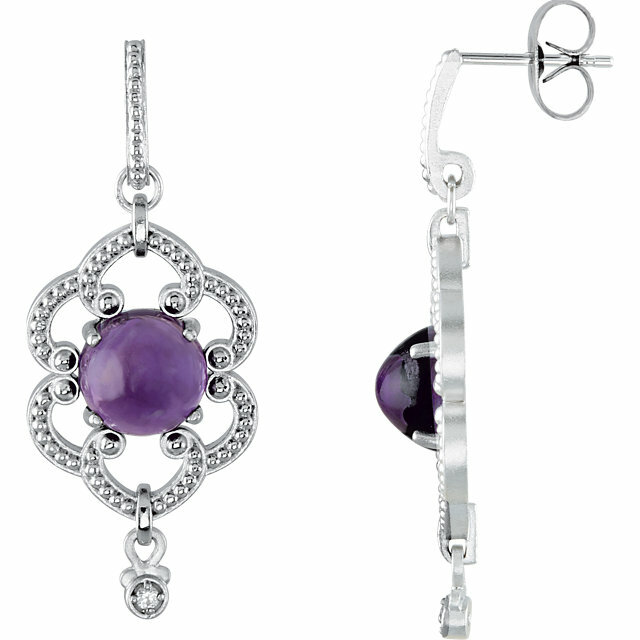 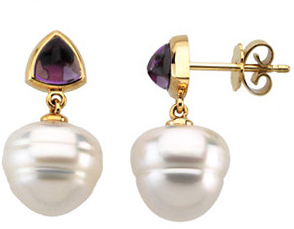 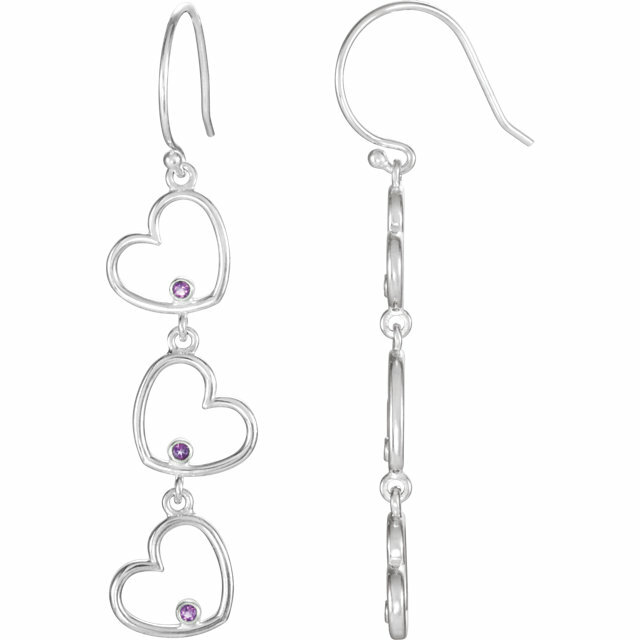 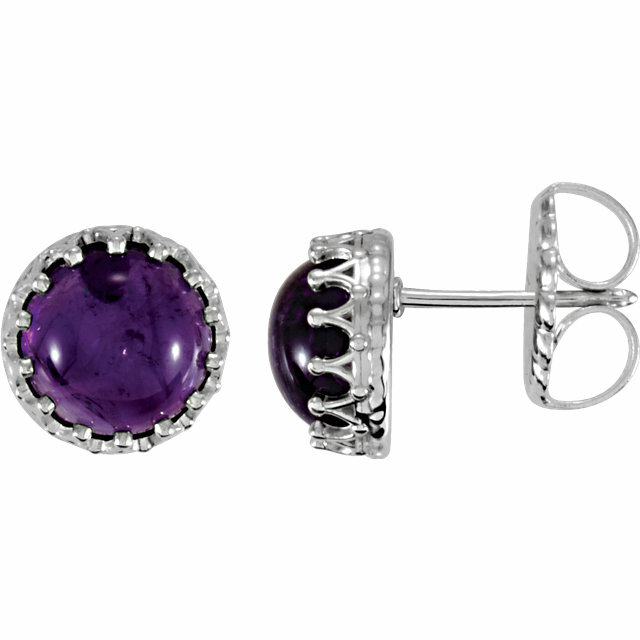 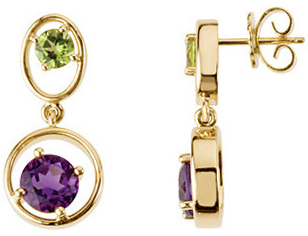 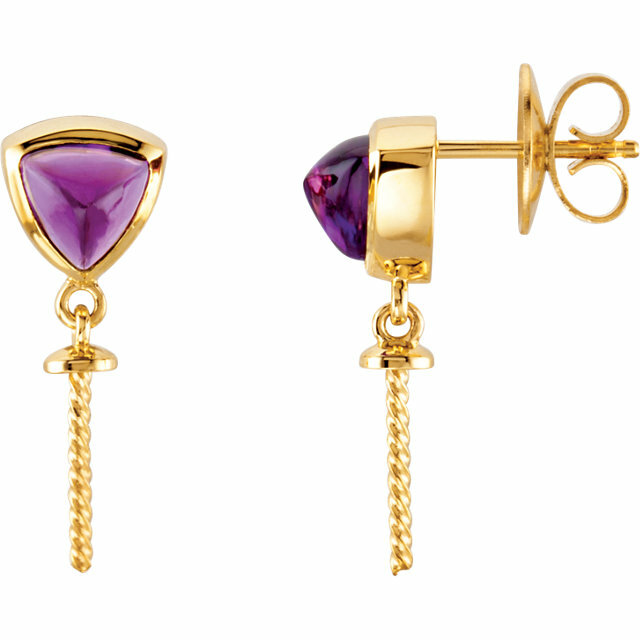 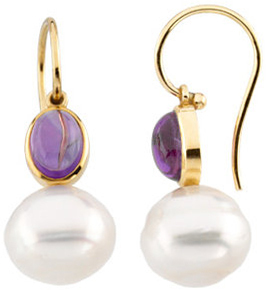 Spruce up any look with a pair of refreshing and elegant amethyst earrings. 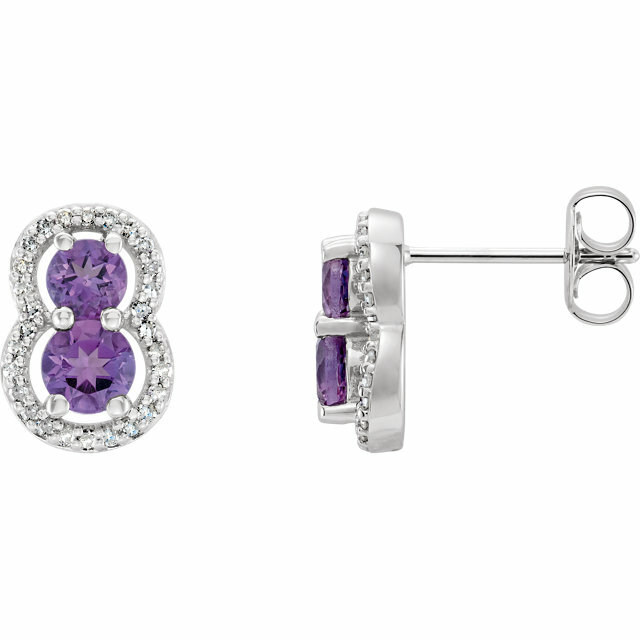 Sometimes, all you need is a splash of purple to heighten your femininity. 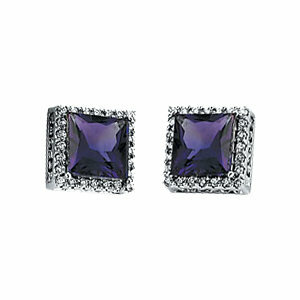 A heart cut or square shaped Amethyst stud shimmering daintily and modestly will create a demure and put-together look. 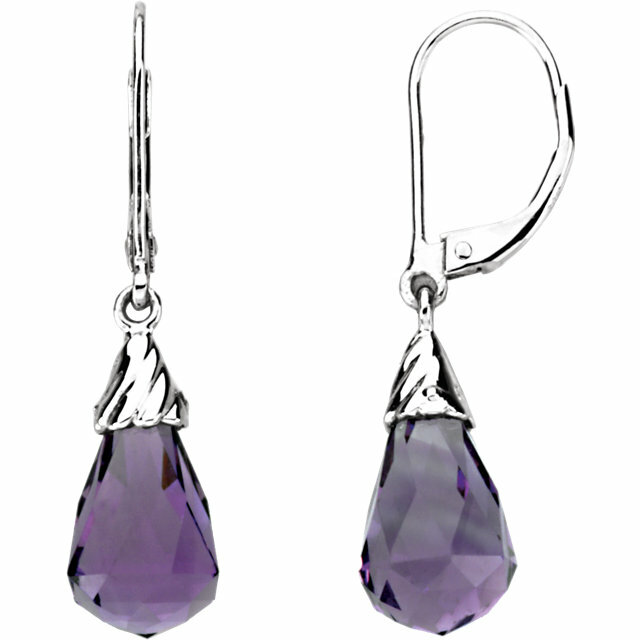 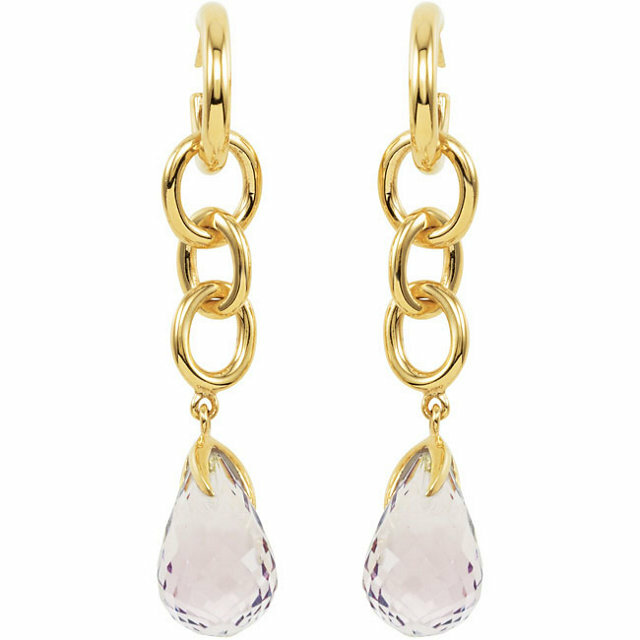 Or if you prefer, try a dramatic dangling Amethyst accented with diamonds which always draws attention and admiration. 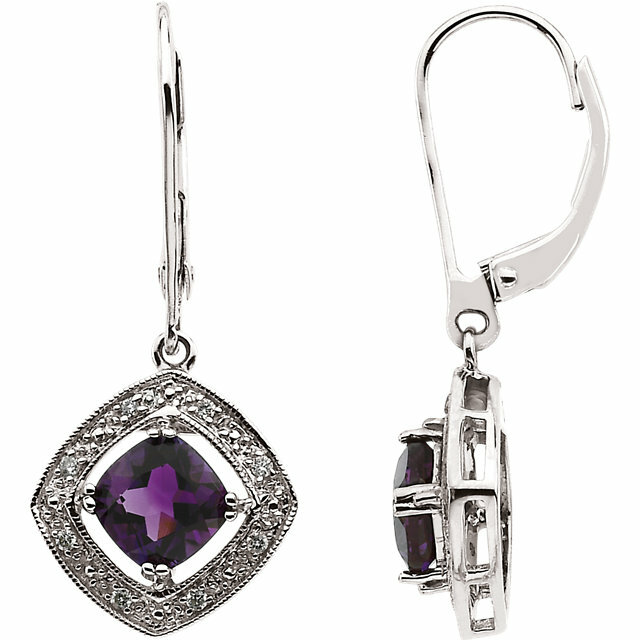 The best way to add purple Amethyst accents throughout your ensemble is to pair these amazing earrings with their matching pendants and rings. 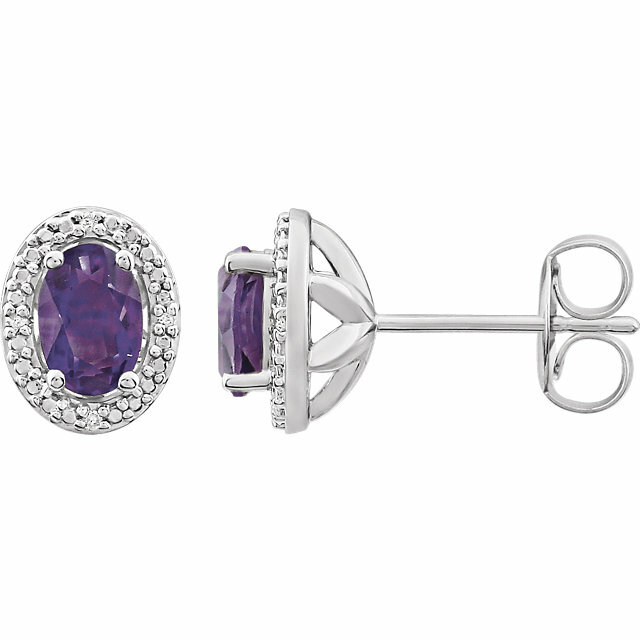 The beauty of Amethyst is that the rich and vibrant shades of purple happen to be extremely flattering for women with all different colorings. 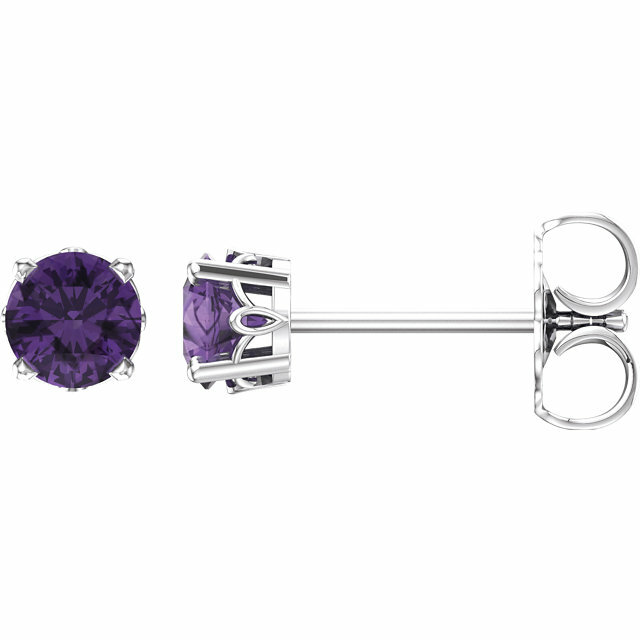 For ladies with brown eyes and brown hair, the brown and purple combination is very complimentary�the plum colors accentuate the natural color variation in the hair and skin. 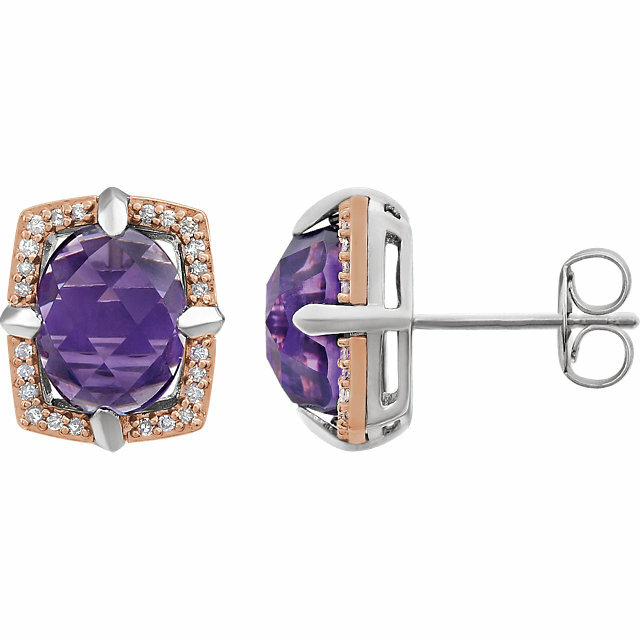 For women with lighter complexions, the purple Amethyst hues create contrast with their coloration and add a sense of drama and boldness. 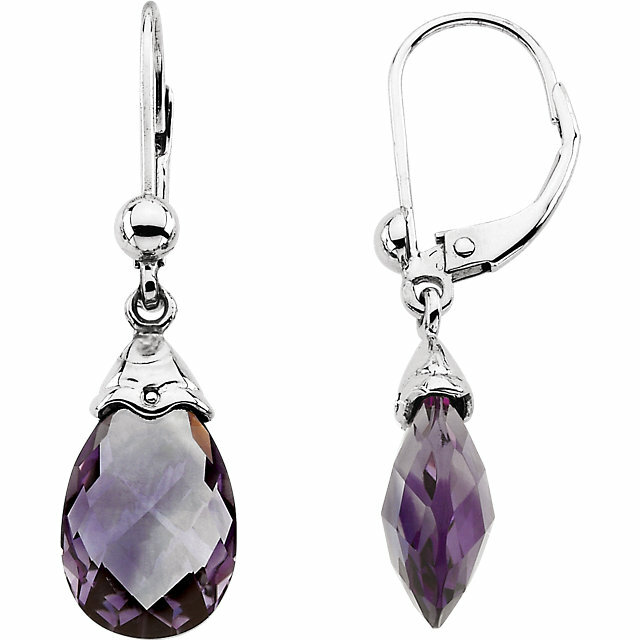 Amethyst jewelry is also a great choice to pair with a more neutral ensemble as the soft lavender tones will add color without clashing. 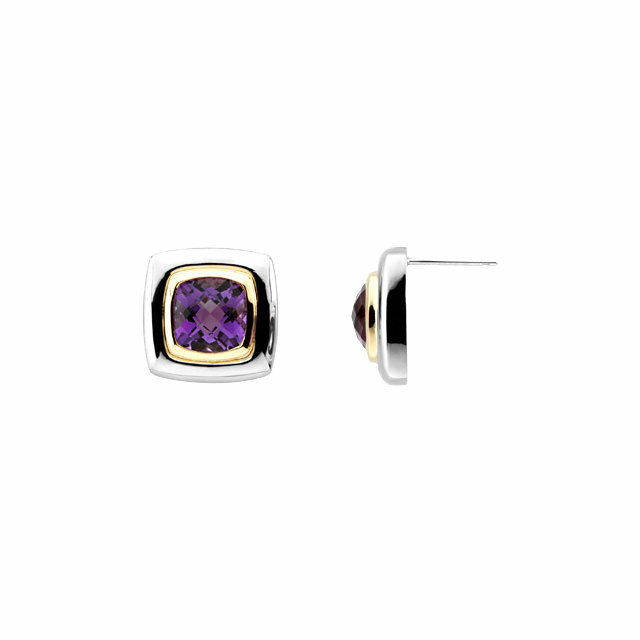 AfricaGems, with over 30 years of experience in the gemstones and gemstone jewelry industry, is the best place to buy jewelry online. 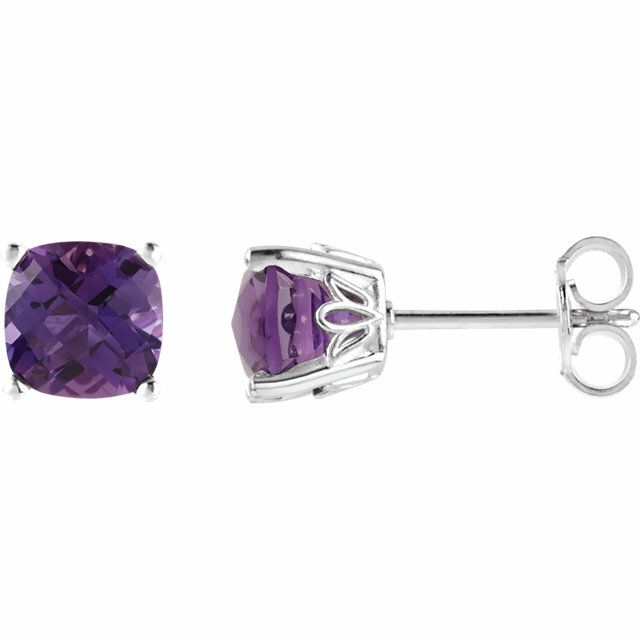 We offer the lowest prices and an amazing selection. 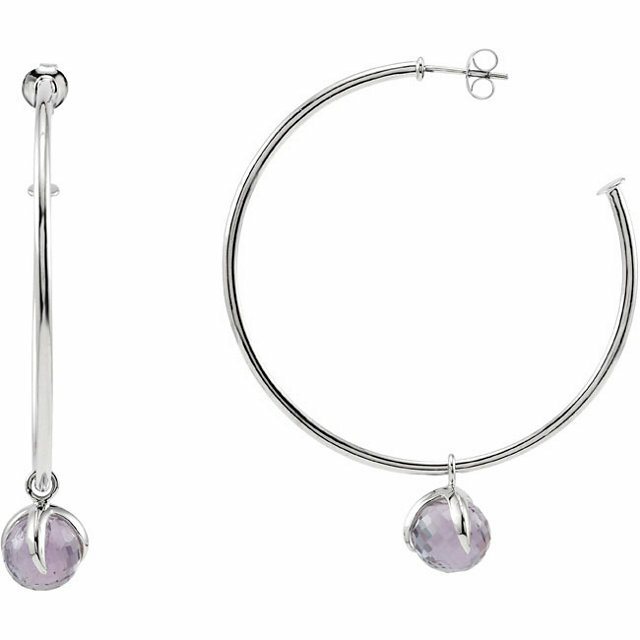 Plus all orders are shipped out the same day and shipping is free.